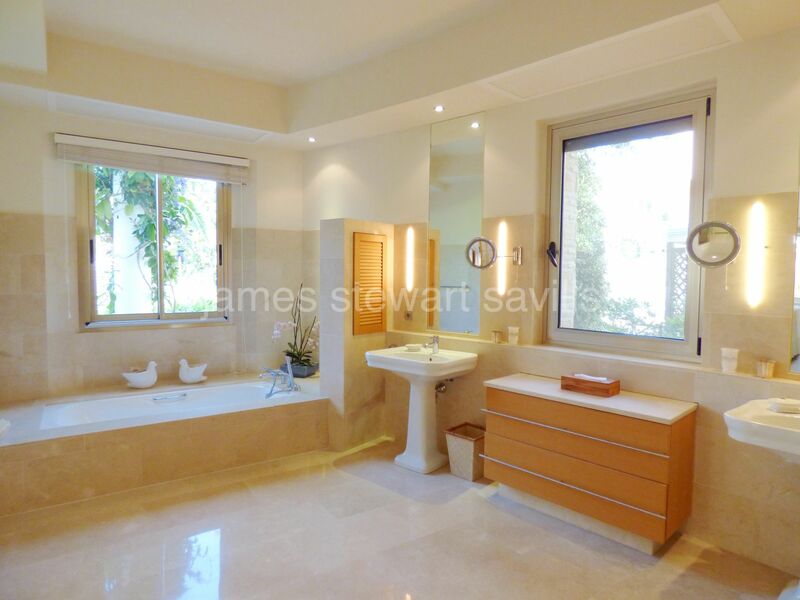 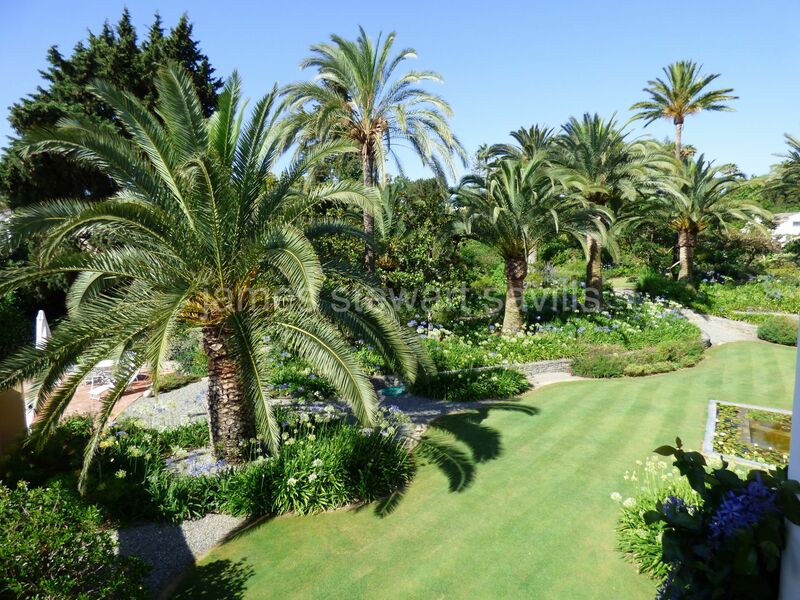 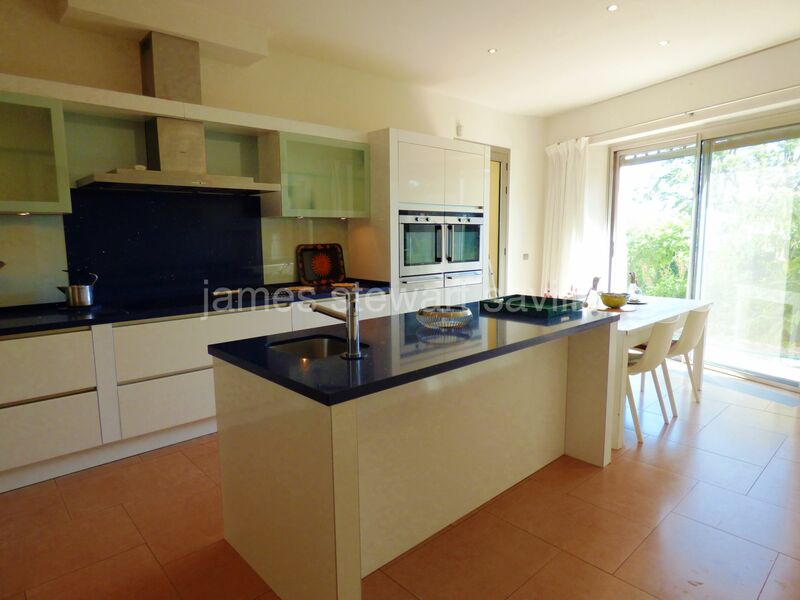 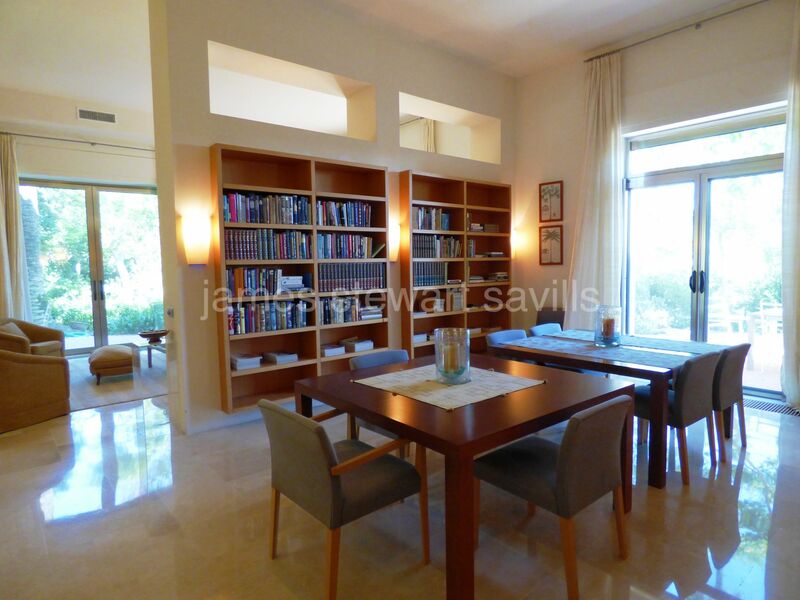 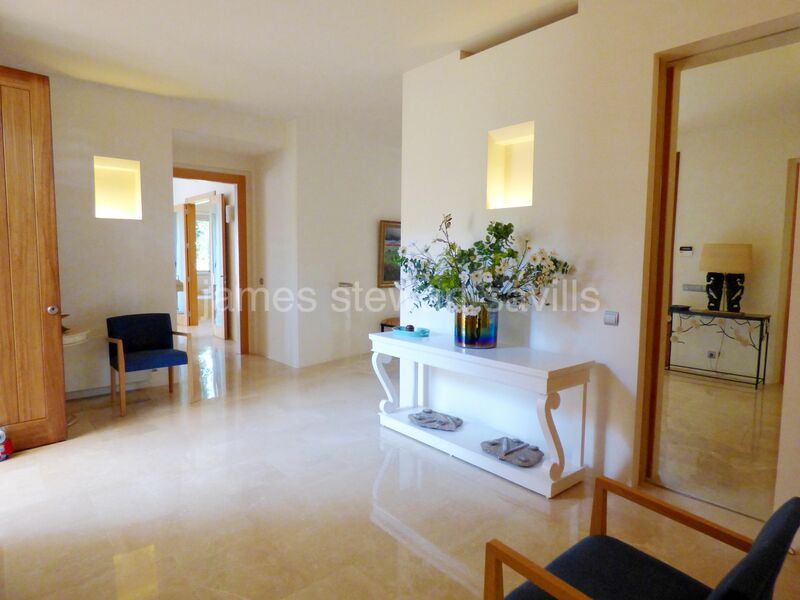 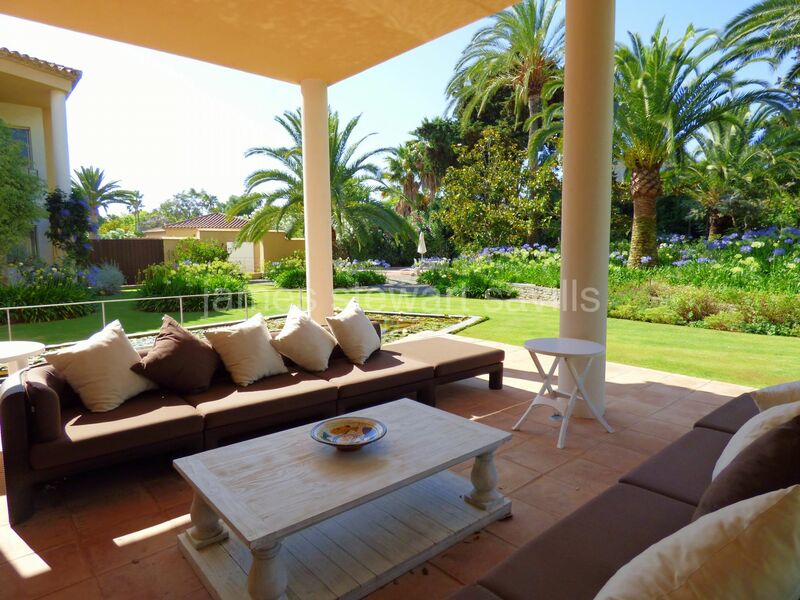 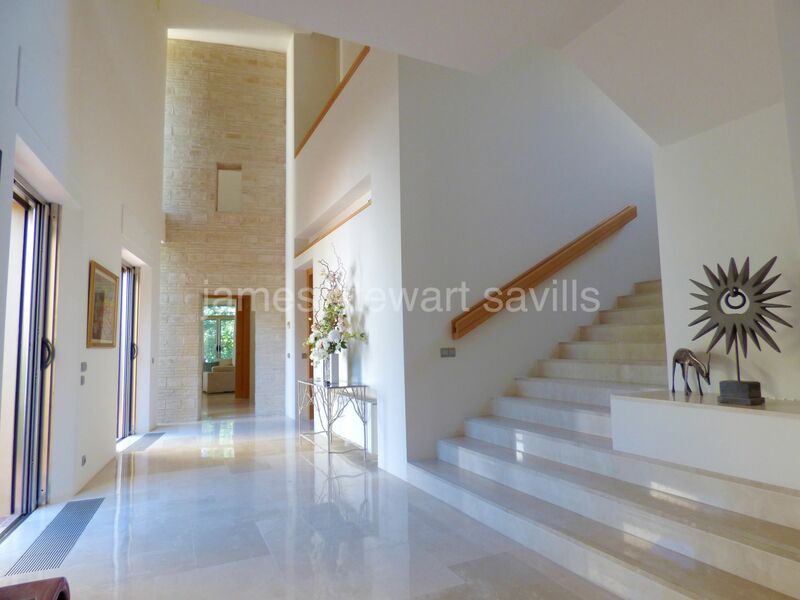 Very interesting villa built to an excellent standard discreetly located in the Kings & Queens area of Sotogrande Costa. 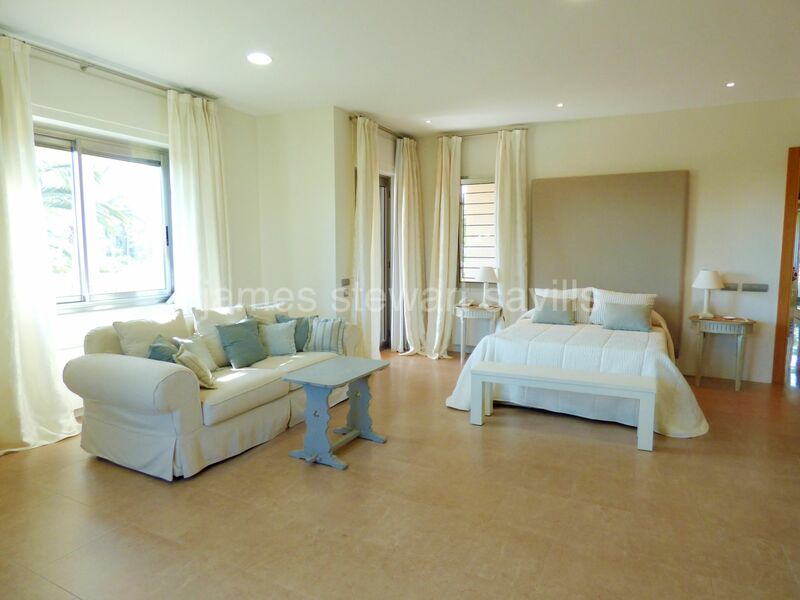 The main living area of the property is located on the ground floor consisting of a living room, library, dining area, kitchen with laundry, downstairs master suite, 2 further en-suite bedrooms. 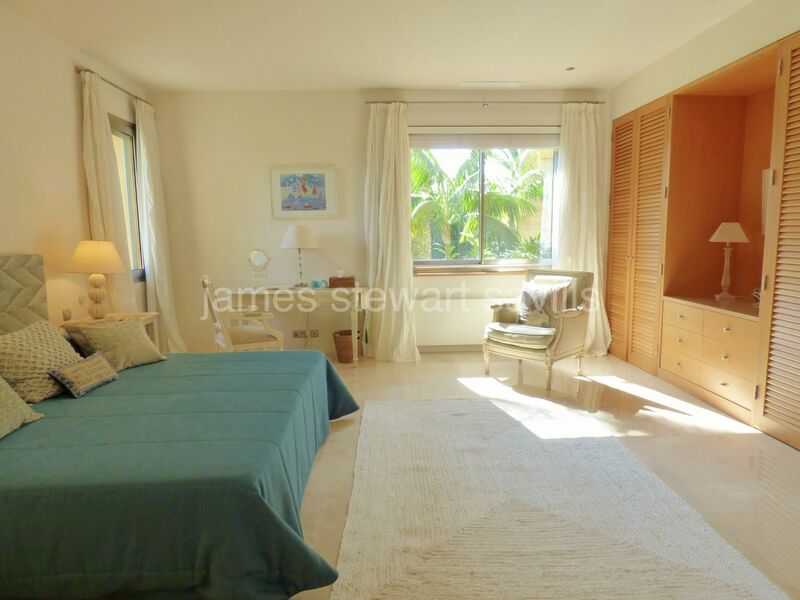 Upstairs, which can be accesed by lift, there are 2 double en-suite bedrooms and another master suite with large dressing area. 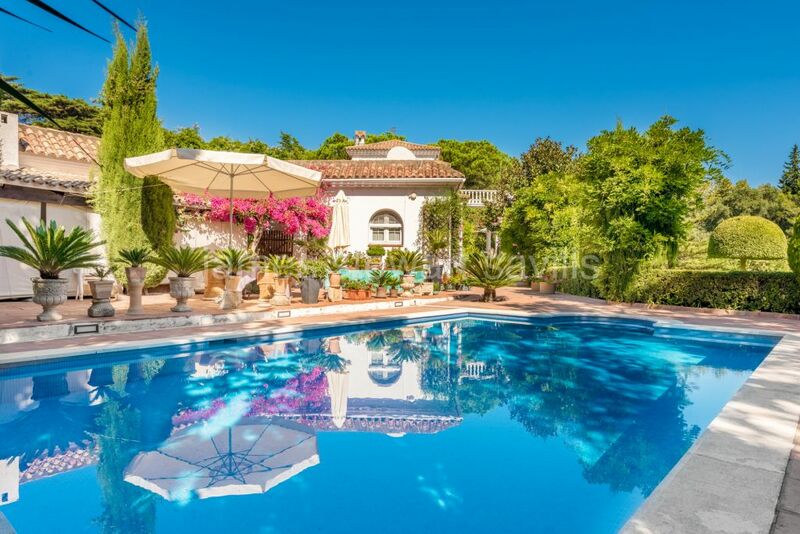 The beauty of this villa is the number of terraces and outdoor areas which can be enjoyed throughout the day. 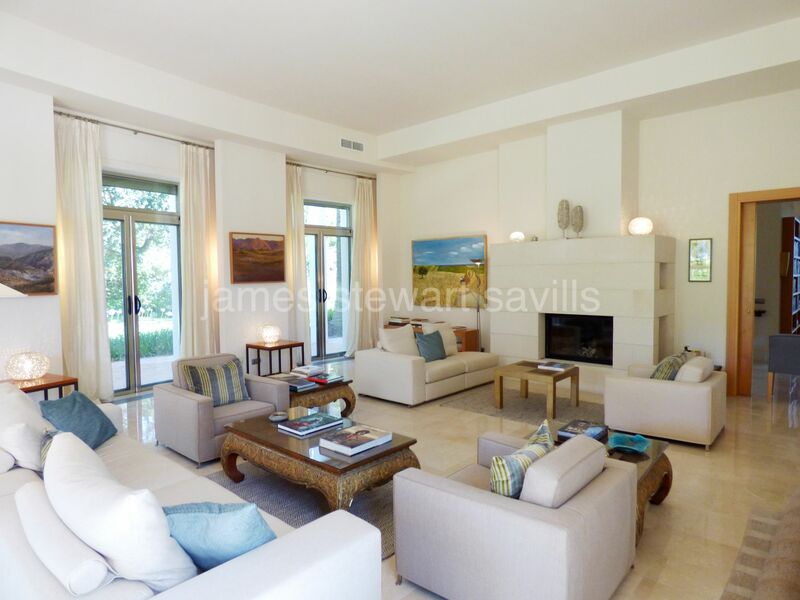 The design features high ceilings, large windows and an excellent flow which creates a spacious yet comfortable home. 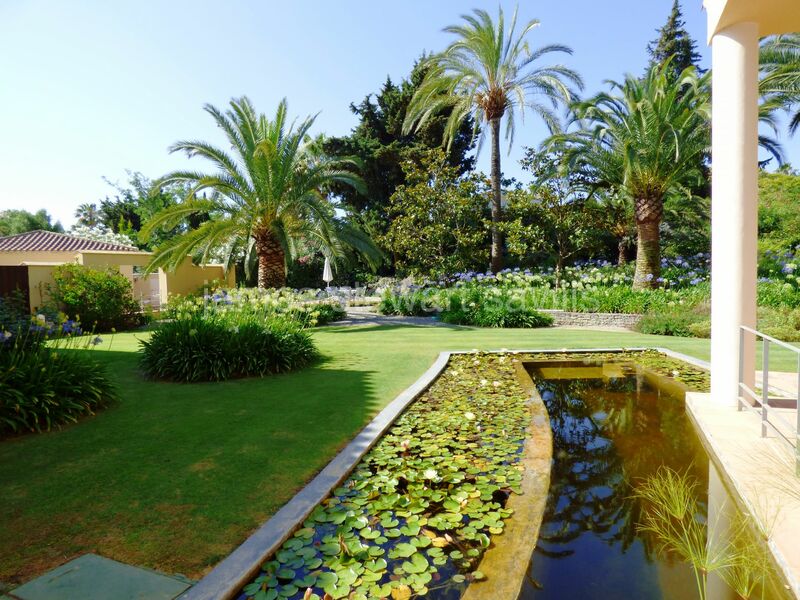 The landscpaed garden with a lily filled pond and swimming pool has various levels and features beautiful mature corks and palm trees. 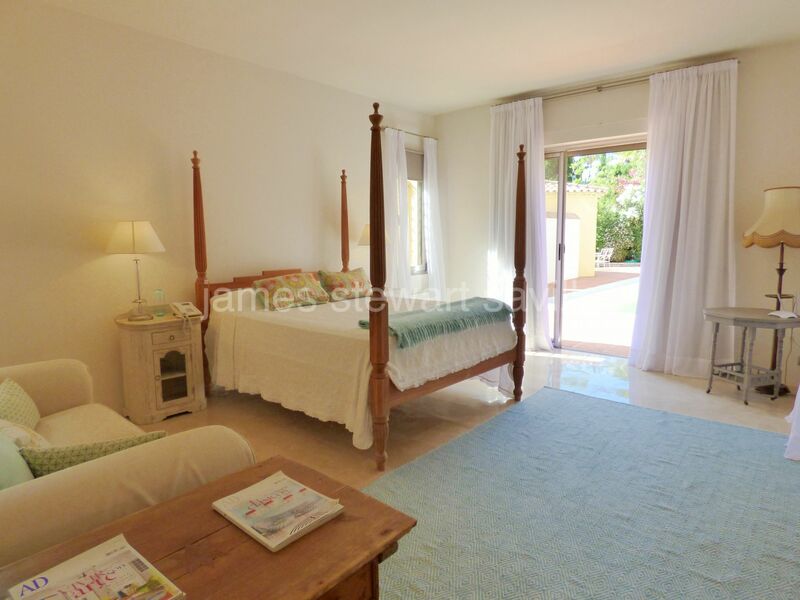 Air conditioning, central heating with radiators and underfloor heating in the main bathrooms, double garage with further entrance parking and sold fully furnished.